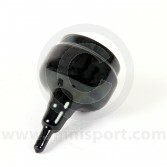 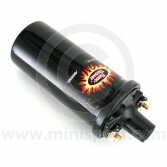 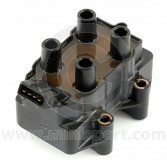 Browse the selection of Classic Mini Ignition Coil as part of the Mini Sport Electrical & Lighting department. 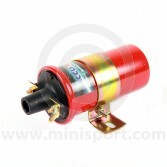 Mini Sport supply a range of specialist ignition coils to suit all Classic Mini models with either standard or ballast resistor systems. 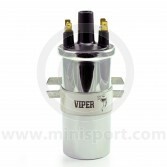 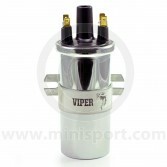  We have high power ignition coils, the Lucas Sports coil, the full range of Aldon Flamethrower coils and the special coil pack used on the 1997-2001 MPi Mini’s. 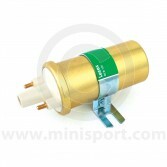 We can even provide a rubber cover to keep the coils connections dry. 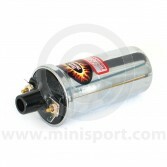 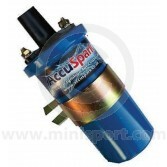 Just part of the extensive range of Classic Mini electrical equipment available from Mini Sport which also includes indicators, spot lamps, bulbs, dynamos, starter motors, alternators, wiper motors, wiring looms, column switches, distributor service parts, fuse boxes, ignition leads and spark plugs.